The other morning my favorite blogger, Brooklyn Blonde, posted this post about The Perfect Bootie. It was the first email I read of the day, and it was like swallowing a porcupine. It hurt. 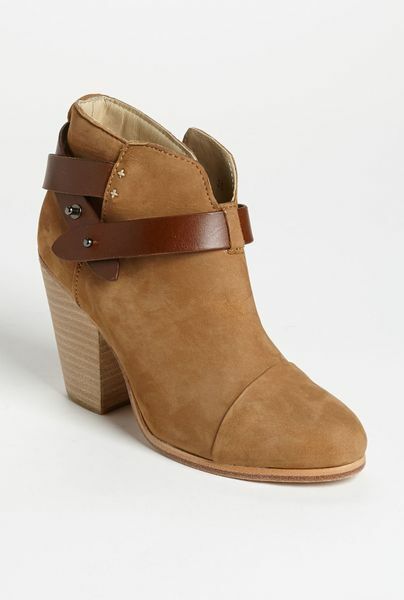 I have been lusting after the Harrow bootie by Rag and Bone for quite some time. My favorite are the suede in the Camel color — they are a great height and the straps in the front add an extra stylish element. Oh they are so gorgeous. The one hold-up is that they retail for $495. A pair of booties that cost that much are not in my plastic fork budget. They aren’t even to-the-knee boots — I cannot justify buying them. Because I must have these booties, I have challenged myself to find them for a price I can afford, so I have turned to Ebay. I have found several great pairs, but none in my size and the perfect camel color. I am going to keep checking and will update you on my progress. The other less desirable option is to find a pair that have a similar look but at a better price point. This pair from Aldo have the straps around the ankle and are made with a great leather. And at $140, they are much more in my price range. Here is another option made by Dolce Vita that look similar to the Harrow pair for $129. Great price, and I have had a good experience with other Dolce Vita shoes that I have bought. I am not ready to give up on the beloved Harrow booties yet, so I am giving myself a six-week-window to find a pair in my size for around $200-$300 on Ebay. Lofty goal I’ll admit, but I think I can manage. And if not, I have a few good backups.